Crafting, Etsy, and Everything Else: Pretty Handmade Earrings for Under $10! With the economy the way it is, I think we're all looking for deals, all the time. Me, I'm pretty much on a "necessities only" kind of budget, though I do cheat occasionally (ok, maybe more often than occasionally). 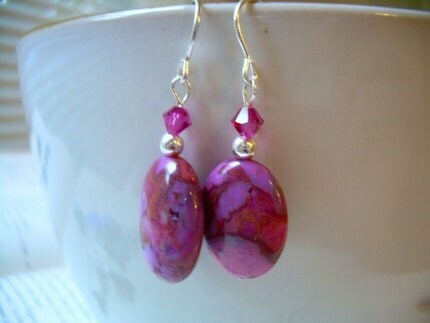 These are some very pretty earrings I came across in the Etsy shop jaimiebdesigns. All are on sale from $5 to $8 a pair, so you can add a little bit of color and sparkle and "newness" to your wardrobe without breaking the bank. 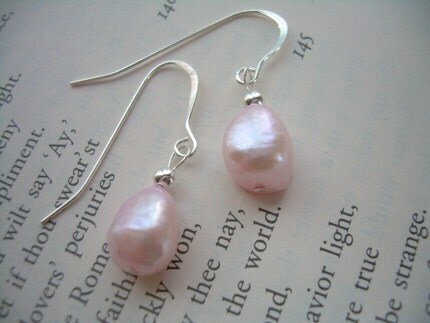 Jaimie has lots more lovely items in her shop too; you can check it out here. Speaking of great deals, I'm having a fun giveaway on handmade cell phone cases. It's super-easy to enter, and the winner gets to choose any cell phone case they want from my Etsy shop to be shipped to them, free-of-charge, anywhere in the world. Scroll down, or click here for more info and to enter. The blue earrings are an amazing shade! 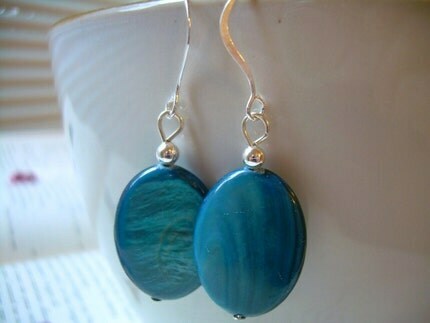 I agree, the blue earrings are a great shade!